Product prices and availability are accurate as of 2019-04-20 09:52:33 UTC and are subject to change. Any price and availability information displayed on http://www.amazon.com/ at the time of purchase will apply to the purchase of this product. In the 1982-83 NHL season, a defenseman named Paul Coffey scored 29 goals and had 67 assists while playing alongside Wayne Gretzky. 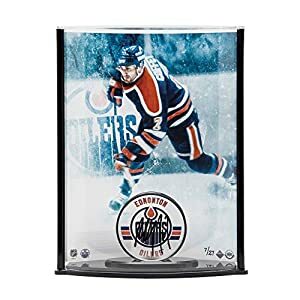 The Oilers were in their fourth NHL season, and they broke the record for most goals in a season with 424. Coffey won three Stanley Cups with the Oilers and was inducted to the Hockey Hall of Fame in 2004. This 8" x 10" image shows Coffey in an action shot, ready to drill the puck into the back of the net. 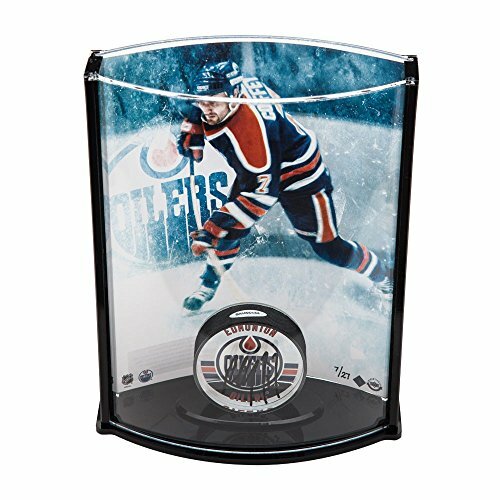 Coffey has signed this Edmonton Oilers acrylic hockey puck in this limited edition (27) vertical Oilers puck display in black paint pen. The autographed puck rests inside our patented curve display. His signature is deemed authentic by virtue of Upper Deck Authenticated"TMs Five-Step Process.